Ashlee Ammons spent many years working as an Events Producer for A-Listers like Oprah Winfrey, Leonardo DiCaprio, and Jay-Z, but we’d argue she’s on an A-List of her own. 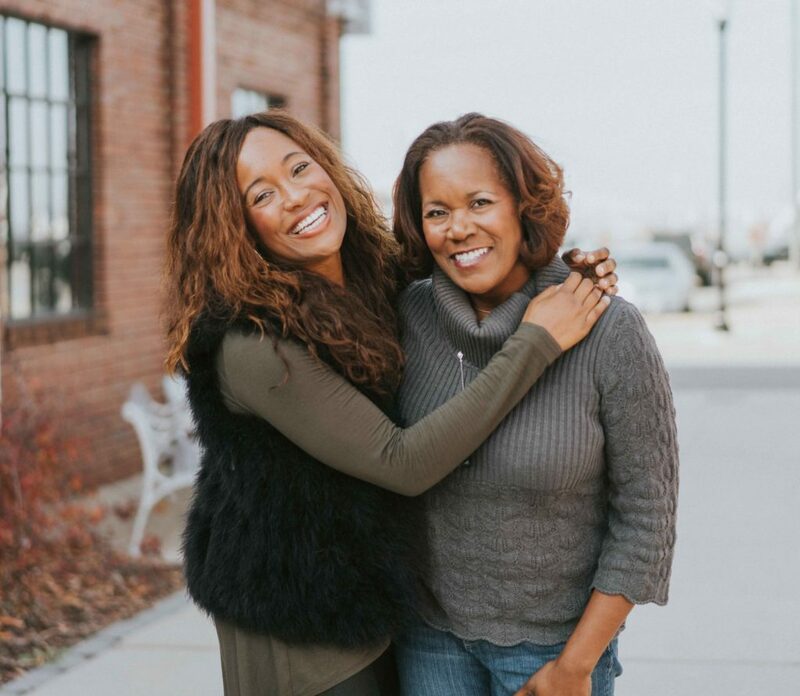 In 2018, she and her mother Kerry Schrader joined Birmingham, Alabama’s Velocity Accelerator, starred in an episode of A+E networks investment series “Rooster & Butch,” secured a $100,000 investment during Steve Case’s Rise of the Rest competition, AND became the 37th and 38th black women to close a $1M funding round. 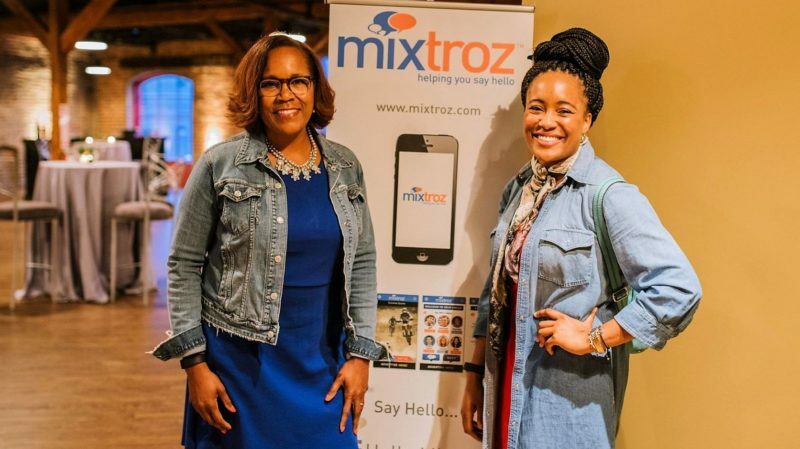 Without any formal tech background, the dynamic duo co-founded Mixtroz, a technology platform that increases engagement and captures data at events. Since launching, they’ve worked with clients like Georgia Tech, BBVA Compass, and Bridgestone to gather real-time event analytics. In addition to growing Mixtroz, Ashlee serves on the Boards of the Nashville Entrepreneur Center and Tech Birmingham and is involved with Black in Tech Nashville and Girls to the Moon. In our Q&A below, find out how she overcame challenges as an “underdog” entrepreneur, her best advice for creating a more inclusive startup environment, and why she chose Birmingham as her company’s homebase. What inspired you to launch Mixtroz? Quintessential story, I experienced the problem, colliding with the “right” people at events, looking for a solution, and when there wasn’t one, built it. I was at a conference and the event host said, “For networking, go up to someone with the same color dot on their name tag as you.” It was an awkward proposition, so I didn’t do it, and therefore didn’t make any connections of value even though that was my entire reason for attending. My mom/co-founder had a similar experience the same weekend, so we created the idea for Mixtroz using our domain expertise in events and human resources. You and your mother are co-founders. What’s it like starting and running a business with family? Starting a business with family is common, a tech startup is a whole different arena. A tech startup founded by two black, female, non-technical, tech founders who happen to be mother-daughter, we’ll that’s unheard of until us! 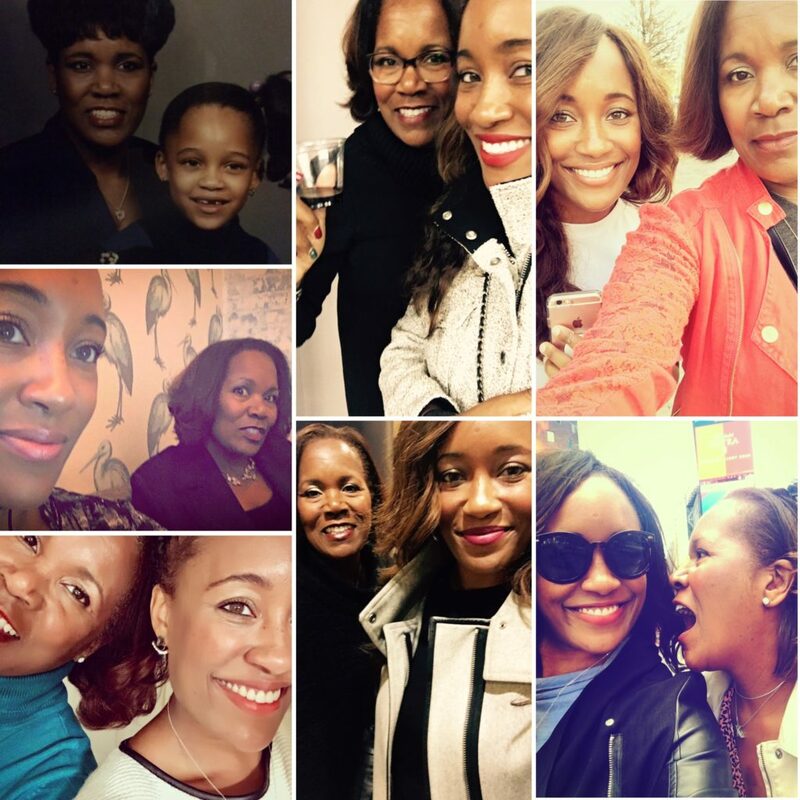 The journey has been long and challenging with extreme highs and low lows, but all things considered when you are going through the journey of life and business who better to laugh or cry with than your mom?! What were some of the challenges you had to overcome early-on as non-technical founders starting a tech company? We had to get people…let me rephrase, MEN to stop saying we were “cute.” There has been absolutely nothing cute about this journey; I am a workhorse not a unicorn and the insinuation is insulting. We had to show people through data and metrics that we had an actual business that was solving an actual problem. We moved from simply solving “networking” to solving for a sociological phenom known as homophily — essentially, “birds of a feather flock together.” When you break this up, engagement increases and when engagement increases it increases the likelihood of an attendee/employee/student to purchase, donate, sign up and most importantly keep coming back. All of this and I haven’t even hit on the custom data that Mixtroz provides to our primary customer, the event host. Are there any resources you recommend to other entrepreneurs in a similar situation? Do your research, know your numbers. As an “underdog,” we don’t have the grace to just be good — we have to be excellent. Whenever you are showcasing your business, be the most prepared in the room and you are sure to stick out. In fact, I believe we won Rise of the Rest Birmingham ($100K) because when I pitched, I was the most prepared. You all recently became the 37th and 38th black females to ever close a million dollar round. It’s an exciting milestone, but also shows we still have a long way to go in supporting minority entrepreneurs. What are 1-2 ways folks in the startup / VC community can be more inclusive? 1. Don’t pat underrepresented founders on the back and say “good job.” If that’s all you’ve got, keep it moving! 2. If you meet an underrepresented founder and you tell them you ARE going to do something, DO IT or even better yet, keep it moving! What’s your best piece of advice for fellow female entrepreneurs looking to build a business in a male-dominated space? Do not be geographically confined. If you are starting up and your market is not receptive, do some recon and find a place that gets you, feels you and supports you; go there and conquer. You moved from Nashville, TN to Birmingham, AL to grow Mixtroz. What makes Birmingham a great place to start and grow a company? My goodness, I could write a book on this question but it has to do with the way civic, corporate, and tech work together in a symphony of sorts toward the Birmingham of tomorrow which is an ecosystem that will be led by tech. 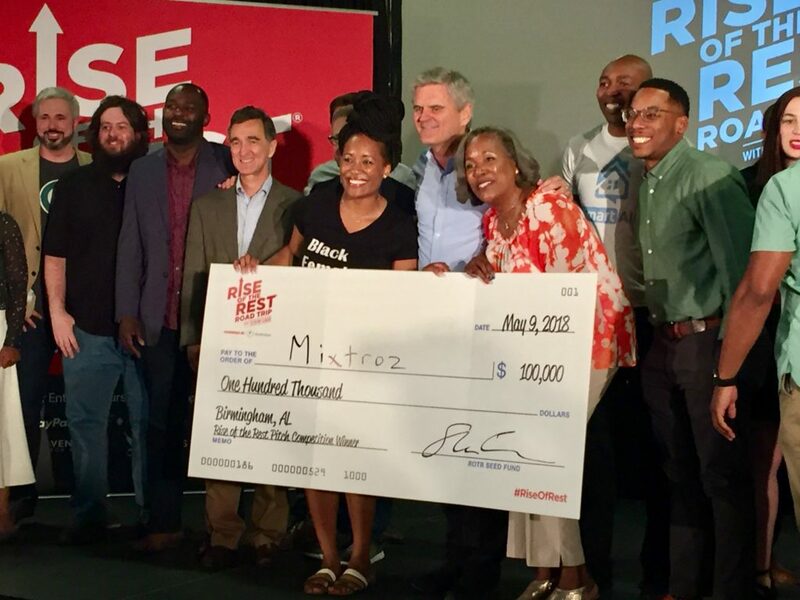 In Nashville, we often heard, “Great idea but you’re a black woman in the South, this will not happen for you.” In Birmingham, they said, “Not only do we want you, but we support you 100%.” They backed up those words with action and we closed a $1M round. 90% of those funds straight from Bham! What are you most looking forward to about the DIG SOUTH Tech Summit? It’s been a few years since we’ve visited Charleston’s entrepreneurial ecosystem and I am excited to see progress, inclusiveness and reintroduce overselves! Want more expert startup advice from this impressive founder? Don’t miss During the DIG SOUTH Tech Summit, Ashlee’s talk “Using what you HAVE to build what you WANT” will dive into how two black, female, non-technical, tech founders went from idea stage to raising over $1M to scale their business, Mixtroz. Register now to reserve your spot!